Do you wish your kid to learn the 4th most spoken language in the world? 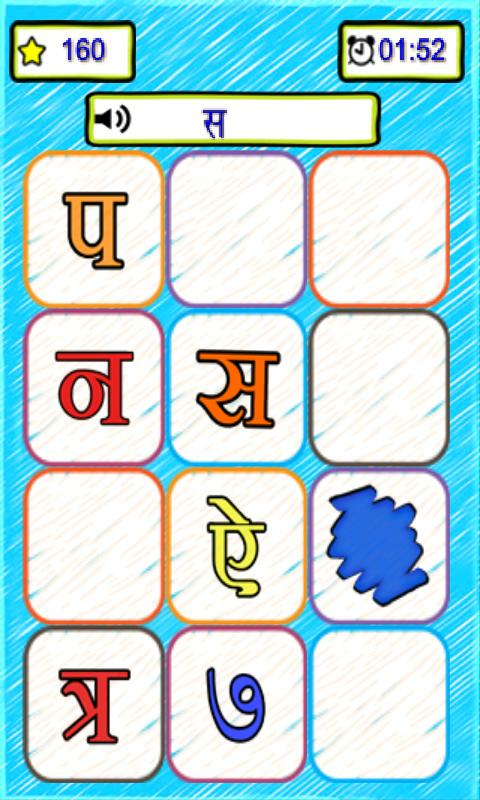 Here's a game for all who've ever wished to learn Hindi. Parents can let their kids learn with fun through this game. Playing is as simple as listening to the alphabet/number/color and finding it in the grid of images. If your kid can't find it, don't worry! Correct image will dance for him/her within a few seconds. Your kid will start recognizing images in no time. Audio-Visual techniques will help him/her learn the pronunciation and script. Stars on every correct answer motivate kids to play with redoubled vigor and enthusiasm. As they progress they can take up timed challenges to enhance their language skills. and for you,there is score card to notify you about his/her continuous progress. Helpful! I am not a child but have found this to be very useful. 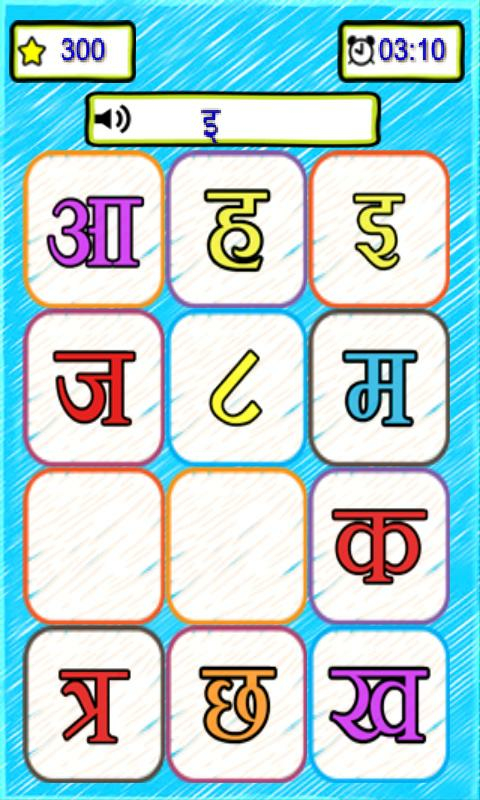 Much better audio than other hindi learning apps out there. Thanks!